GATE is one of the competitive exam in India that will be useful for technical graduates to get a job in PSU’s and to Get an admissions in reputed institutes like IIT’s, NIT’s and Top universities in India. PSU Recruitment through GATE 2018 has many advantageous for both the companies and the candidates. Candidates are saved the hassle of paying application fees many times and appearing for many entrance exams while companies get to recruit some of the best students who have qualified in one of the toughest exams in the country. Click here to view job details. As a R&D Engineer, your responsibilities would include as below: - Demonstrate solid technical proficiency in own competence area by performing a variety of technology/design assignments, mainly in research and development (R&D) projects, which demonstrates independent ability to recognize problems and provide input to solutions. Actively follow the scientific discussions in own competence area and contribute independently. - Understand the key business drivers for ABB in order to make judgments and contribute to results. - Contribute to R&D projects with own, creative ideas. Propose follow-up projects and activities within own technical area based on new ideas. - As a solid R&D project member and contributor, with experience as project or sub-project leader, ensure alignment with assigned targets (time, cost, quality) and coordinate activities. Demonstrate sound understanding of, and actively apply, R&D processes and tools. Requirements: Your Bachelor of Engineering degree in Electrical & Electronics with hands-on experience in CAD platform – Pro/Engineer ‘Wildfire 5.0’, ‘CREO’, PLM tools – PTC Windchill, National and International Standards and certifications, Process and Analytical tools like DFMEA, DOE, Six Sigma, VOC, and QFD etc. will be an added advantage. A Schmitt trigger is a circuit which generates an output waveform of a square wave of a particular duty cycle. It can be implemented on several devices, however most commonly on the operational amplifier. When we give a positive feedback to the opamp, it no more behaves as a linear IC. If the input voltage difference (i.e Vp-Vn) is greater than 0, then it gives a +Vsat output and if the input voltage difference is lesser than 0V, it gives a -Vsat output. This is the idea behind the Schmitt trigger. Now the output of the opamp is fed back to the non inverting terminal of the IC. This is used to control the upper and lower threshold voltages in the case of a Schmitt trigger. To vary the duty cycles, we use diodes and more resistors. Schmitt trigger can also be done on devices like 555 timers and bipolar junction transistors (BJTs). Merlinhawk Aerospace hires embedded engineers in banglore. interested candidates should apply online. • Sound knowledge in 16/32 bit processors preferably ARM, DSP, PowerPC etc. • Good expertise in embedded programming using C and assembly languages. • Hands-on experience in developing applications for USB, Ethernet, ARINC and MIL-1553 protocols. • Working knowledge on any RTOS. • Self-motivated and able to meet strict timelines. • Proficient in code testing and defect resolution. First one have to separate peripherals from CPU, you can put simple peripherals around an 8051 and extremely complex ones around a Cortex-M4 and vica versa. Selecting a device with simple peripherals should be part of the criteria when selecting a part to use for an intro training (Save the bluetooth, RF, USB ++ peripherals for the later courses). 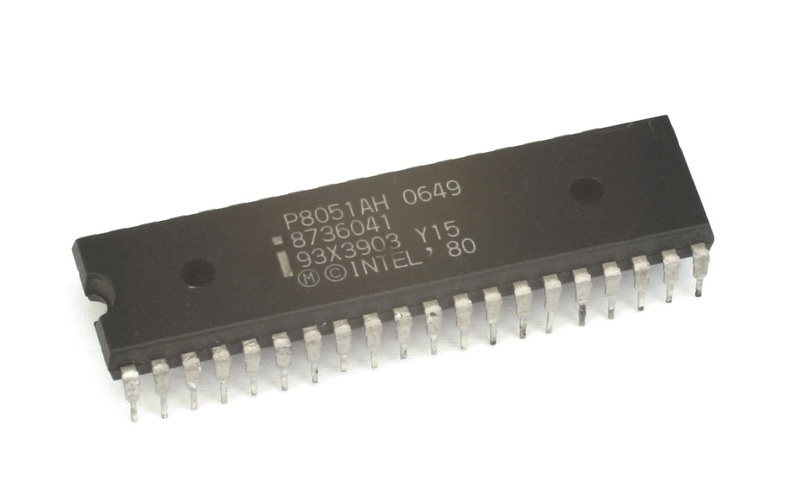 The 8051 is an old single accumulator CPU and it is outdated in regards to both performance and power consumption. The only adoption we see of it today is people who have large code bases and do not have the resources to port it to new micros, i.e. there is hardly any new code developed on 80561 compared to AVR, STM8, MSP430 and PICs. I would think that one would be better of by using an AVR (like fabLab is doing as well as Arduino), PICs or MSP430. These are still relatively simple architectures that all can connect to DMAs and different memory structures and work very well as a platform to learn the basics of computer architecture. If you learn a bit about all of them you can also see benefits of a linear address map vs paging etc. How to Apply : Interested candidates can apply online through this Linkhttps://careers.powergrid.in/nr1-ipds-recruitment/h/. Branches: Civil Engg. and Electronics and Communication Engg. Bharat Electronics Ltd, Bangalore invites applications to recruit on vacant posts of Senior Assistant Engineer (Short-term) in EI Grade. Applications against these Government Jobs can be submitted on or before 30 November 2015. Qualification(s): The applicants should have worked in one or more of the following areas: Communication systems, computers and Networks, Switching equipment etc. Job Description: Pre-Silicon Verification of register transfer level ( RTL) functionality of SoC designs, develop block-level/full-chip test plans; design & develop verification environment components, write test cases, run simulations & regressions, debug test failures to identify test case issues & RTL design issues. Masters degree in VLSI Design, Micro Electronics, Electronics and Communication, or Electrical and Electronics Engineering with 0-2 years of pre-silicon verification experience. Here is a list of online sites where you can get a lot of practice problems for bank exams as well as for various competitive Exams. It helps freshers as well as students in their final year in their campus placements and in aptitude round. Fundamentals of CMOS & FINFET with VLSI Fabrication Methodology. Have basic knowledge of Layout design principles and practices. Have working knowledge Unix/Linux platform. Maintain accurate and thorough documentation of work. Be a positive participant and active team member. Here is a list of VLSI companies in India.This information helps the students who want to make their career in core companies after graduation. There are many companies further which works on VLSI.To get job in these companies one should have strong foundation in their basics and also practical knowledge. Job Description: Responsibilities may be quite diverse of a software technical nature. Experience and education requirements will vary significantly depending on the unique needs of the job. Job assignments are usually for the summer or for short periods during breaks from school. 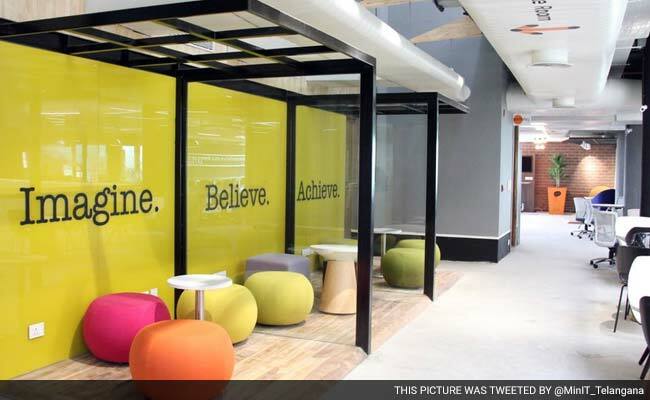 T-Hub is expected to house over 300 start-ups and a futuristic workspace for up to 800 people.These start-ups screened by the T-Hub committee will be allowed to use the space and amenities like high-speed internet, at a nominal cost. - Excellent understanding of strategies used to manage various aspects of networks . - Understanding of TCP/IP protocol with administration level understanding of Switching/Routing and in-depth understanding in management applications. - Experience in new NMS Architectures using the current Web Technologies like JSON,XML etc. - Should have expertise working in the standard operating system like Linux and Windows. - Hands on experience on Cisco or Juniper switches and routers. - Proven experience in automation. Used GUI based automation tools like QTP or have experience in API level automations. 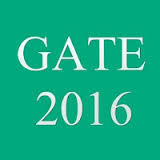 Yes,Its time to revise for candidates who have applied for Gate 2016 . Notification was released 6 months back and most of the students might have already started preparing for test very hard. One might have gone through various text books, materials and other online resources for the past few months and have attend various tests. Now there is three months more time for the final exam.In order do well in the final exam manage the time efficiently for these 3 months. First and foremost important thing to be done by each student is to set a timetable to manage time efficiently for the upcoming three months. Allocate time to revise concepts from various subjects and practice problems. Also try to make time to attempt a grand test every day so that you can come across various concepts in different subject. Write short notes for each subject so that you can go through the concepts at glance during the last days of the exam. also one should focus to solve GATE type questions accurately. Whenever you are unable to solve the questions, refer to the relevant theory and notes. No new topics in last days. Give full 15-20 days in revising whatever you studied for GATE examination till that time. Take test regularly.Take proper sleep on last night of exam and if possible make yourself entertain on last evening of the exam, do whatever you like. No early wake -up on the day of exam 6-7 AM is quite OK and don’t take tension for the exam, be confident on your preparation. 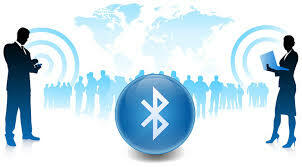 Technology keeps changing everyday and is making our lives much simpler.Among this includes bluetooth technology. With Bluetooth we are able to easily share songs,movies,photos easily. Bluetooth is a wireless technology standard for exchanging data over short distance of upto 10 m between mobile phones,smart phones,laptops,tabs etc. It was invented in 1994 by telecom vendor Ericsson. IEEE standarized bluetooth as IEEE 802.15.1and it is a type of Personal Area Network. Bluetooth uses frequency range from 2.4 GHz to 2.485 GHz. This frequency range has 79 channels each of 1 MHz. a). Bluetooth operates at very low power and your device transmitter won't carry signal far than about 10 m.Because of this short range transmission,bluetooth is more secure than Wi-fi. b). To minimize interfence & to provide secure transmission, bluetooth devices constantly change the channel they are using out of 79 available channels. The rate of shifting of channels is about thousands of time per second. BE/ B Tech or ME/ M Tech with Electronics and Communications is a Must. Preferably with Scholastic Achievements with a minimum of 85% in 10th and 12th and First Class Degree in Engineering. Strong Orientation to Technical Skills i.e. Electronics and Communication. Candidates must have the ability for providing Telecom solutions i.e. Telesolution of different kind of errors in GSM and CDMA spectrum.